One thing we did catch on the day of its release was the collab by Wooseok of Pentagon fame and Kuanlin formerly of Wanna One. They put out an EP, 9801, that was marketed as a joint effort. But in reality, of the five songs, only one was a collab between the pair and each had two solo songs (Jackson Wang features on one of Kuanlin’s, so honestly, he did just as much with Jackson as he did with Wooseok…). I’m a Star, the title track of the EP is exactly what I expected. It’s two similarly toned young rappers having fun with the image that young idol rappers in Korea are supposed to have. There’s a modicum of polite swagger, fashion, creature comforts, and the ever-present mention of being young and relevant forever. Seems like all is right in the world for this particular release if nothing else in Kpop right now. One of the standout experiences of the trip was our visit to the filming of M Countdown. It was the most interesting mix of over planning and organization with the crush of triple-digit fangirls and fanboys for multiple groups from multiple countries. There’s only so much you can do to keep that situation comfortable. Though I wouldn’t say the process was exactly fun, I am extremely glad we did it. 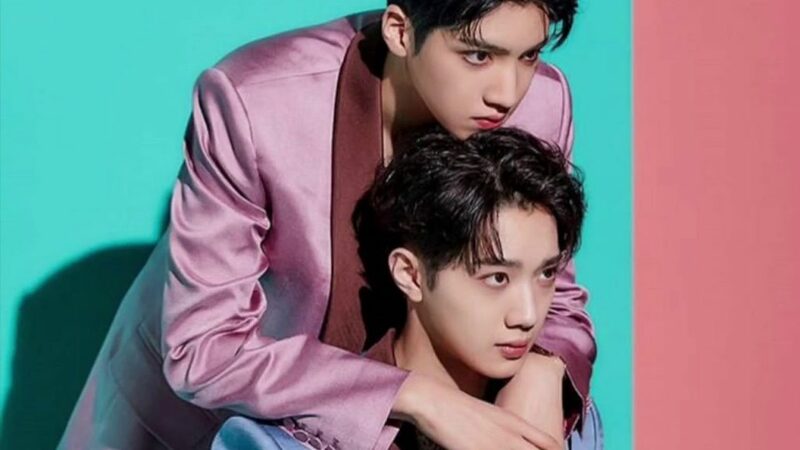 We saw a number of artists we love, Wooseok and Kuanlin among them, performing live and in person on a stage we were all too familiar with from YouTube clips. Unfortunately, because they were one of the bigger acts of the episode, much of their performance was pre-recorded so we got to see about half of the song. But man, let me tell you, those tall, gangly babies are such charmers. I could have watched them for a full set, no problem. At Mnet did you all have to sit in lines before you went into the studio? Watching Mr SA try to sit cross legged was very funny. Yes… things are a bit messy at the moment. Hopefully it will be a catalyst for change. And is it me or is Wooseok AH-dorable?? ?